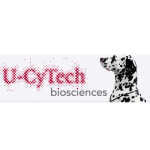 U-CyTech biosciences is a registered Dutch company engaged in fundamental and applied research in the field of cytokine biology. U-CyTech manufactures and sells a wide range of innovative cytokine ELISA, ELISPOT and Fluorospot systems for human, monkey and rodent use. The reagents for these systems are available in two different formats: complete kits and matched antibody pairs. The ELISA and ELISPOT kits require high-quality reagents and this has stimulated U-CyTech to develop "in house" a wide range of highly specific monoclonal and polyclonal antibodies directed to a wide range of cytokines from different species.